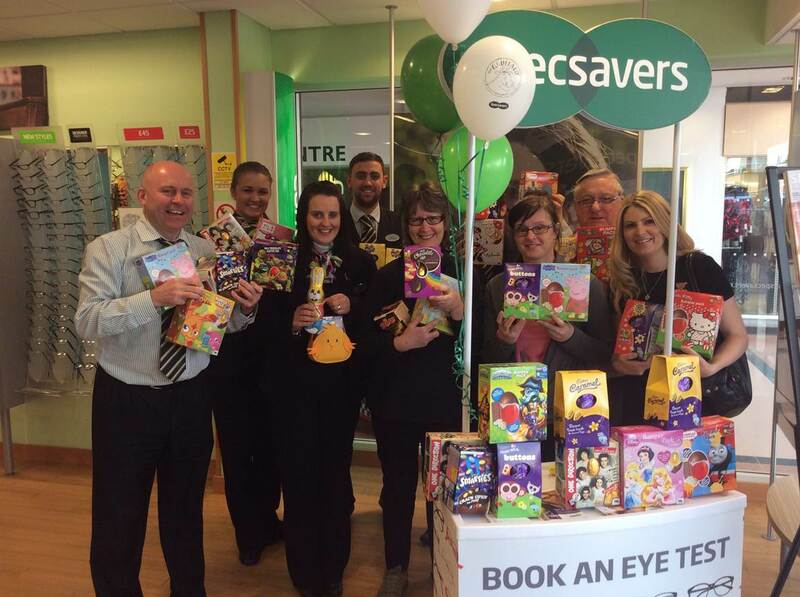 Specsavers Sutton in Ashfield are donating Easter eggs to two local charities this Easter. The Sutton in Ashfield team will each be donating an Easter egg, while the store will be collecting Easter eggs from customers who would like to support the initiative. The store will be accepting Easter eggs up until Sunday 13th April, before they are donated to Patches, a charity supporting parents of children with congenital heart disease, and the charity Home Start, which supports local families in need. To find out more information or donate an Easter egg, please visit Specsavers Sutton In Ashfield located in the Idlewells Shopping Centre. Sheffield's first support group for parents whose children have heart problems is being launched. The group is part of national charity Patches and will be based at Shiregreen Community Centre in Sicey Avenue. Our picture shows Emma Turner with daughter Lacie-Mia, aged nine months. LIFELINE’ for parents of brave youngsters battling heart conditions has launched as the first group of its kind in Sheffield. Families receive vital information and support at the new group, run by children’s heart charity Patches. It also offers parents a chance to meet others who understand the emotions that follow the diagnosis of heart problems in a child. Mum Amy Brocklebank, of Stannington, was at the first meeting with her two-year-old son Louis, who was born with a hole in his heart, an irregular heartbeat and narrowing of the aorta. The 25-year-old said: “Even though my friends are understanding, they just can’t know how it feels. The group will meet twice a month and also offer youngsters, as well as their brothers or sisters, the chance to take part in fun activities. Mum Emma Turner saw her baby daughter Lacie-Mia undergo open heart surgery at just four days old, because her arteries were the wrong way around. Emma, of Be ck Road, Shiregreen, said: “I wish there had been a group like this around when Lacie-Mia was born - we hope it will be a lifeline. Pictured is the Congenital Heart Disease support group Patches, at Summer House Children's Centre. Pictured back row centre is founder Maria Linfield. THERE can be few things more devastating for a parent to hear than being told that their newborn baby has a serious heart problem. But whereas in the past people may have felt like there was nowhere to turn, the work of Sutton mum Maria Linfield means that they do not now have to face their fears alone. Maria set up Patches Heart Group following her own experiences of having a child born with a congenital heart defect (CHD). Her daughter Casey Beau Johnson, now seven, will soon be having her fifth open heart surgery. Patches meets at the Summer House Sure Start Centre in Sutton twice a month and also offers support via its Facebook page and over the telephone. It has been such a success that the model for the group is being used to set up new groups in Leicester, Sheffield, Nottingham and Clacton - with help from Maria and the Patches team. “The need is so great because there’s nothing else out there in the community, only the ones attached to the heart hospitals,” said Maria, who also has two sons, Brock (9) and Bode (3). “We didn’t know anyone else anywhere other than the people we met at Glenfield. “When we came home, the health visitors had no idea of heart families in the area, the midwives didn’t, nobody knew anybody we could talk to, so we just felt completely alone. 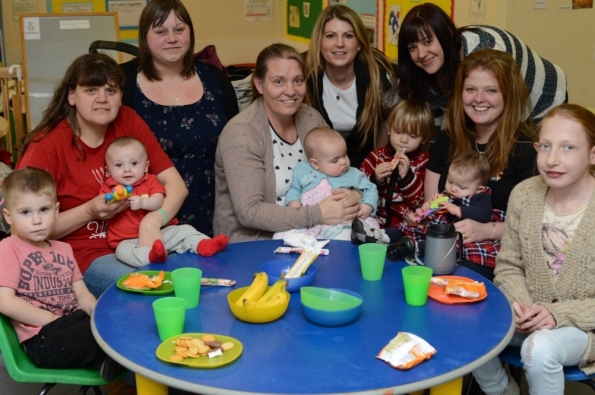 “To go out and mingle in a normal mother and toddler group with a child with a scar on her chest and everyone looking at you - you didn’t feel that you fitted in with anybody else. “Once I had got to the point where I felt strong enough to be able to cope with everything going on in our own lives, I wanted to make the difference to other families. Patches has helped bring the issue of CHDs more into the public conscience, but there is still a lot of work to be done until it is more commonly known about. There are over 40 different CHDs known to doctors and up to one in 100 children born in England and Wales will be affected. Congenital heart defects are the leading cause of death among children in the country, with twice as many children dying from CHDs than all childhood cancers combined. Now that Patches is expanding, Maria hopes that families living in other areas will also benefit from the support. “It shouldn’t be about where you live, everyone should have somewhere where you can go,” she added. For more details on Patches, visit www.patchesheartgroup.webs.com or see Facebook at www.facebook.com/patchesheartgroup. 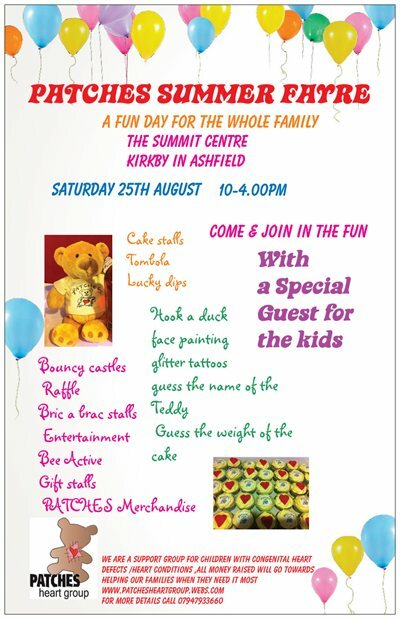 On the 9th of August we will be taking some of our families to wheelgate Adventure park , we hope the day will be a success and enable the whole familiy including siblings to have fun and forget for a short while the worries that chd brings to our our families .